2013-07-31. Good. Ships with Tracking Number! INTERNATIONAL WORLDWIDE Shipping available. May not contain Access Codes or Supplements. May be ex-library. Shipping & Handling by region. Buy with confidence, excellent customer service! Prentice Hall, 2010-03-22. 6. Paperback. Used:Good. Prentice Hall. PAPERBACK. 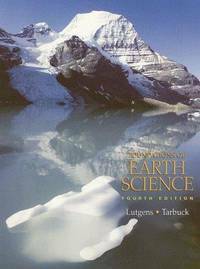 0132401355 NEW TEXTBOOK, SHIPS WITH EMAILED TRACKING FROM USA . New. Pearson Education. PAPERBACK. 0132073161 Brand new book. International Edition. Ship from multiple locations. 3-5 business days Express Delivery to USA/UK/Europe/Asia/Worldwide. Tracking number will be provided. Satisfaction guaranteed. . New. Prentice Hall College Div, 1995-11-27. 1. Paperback. Used:Good. Prentice Hall. PAPERBACK. 0132401355 New Condition. . New. Prentice Hall. PAPERBACK. 0131447505 New Condition. . New. Pearson Higher Education, 1995. 1st. Paperback. Like New/Like New. Prentice Hall, 2007-05-31. 5. Paperback. Used:Good. Prentice Hall. PAPERBACK. 0131447505 Like New Condition. . Fine. Prentice Hall. PAPERBACK. 0132401355 Like New Condition. . Fine. Prentice Hall. Paperback. 0132401355 MULTIPLE COPIES. 5th Edition. Includes CD. Clean text. SATISF GNTD + SHIPS W/IN 24 HRS. Sorry, no APO deliveries. Ships in a padded envelope with free tracking. G7D . Very Good. 2007-05-31. 5. Prentice Hall, 2010-03-22. Paperback. Good. Prentice Hall, 2004-06-13. Paperback. Good. Prentice Hall, 2007-05-31. Paperback. Good. Prentice Hall. PAPERBACK. 0132401355 ALL ORDERS SHIP WITHIN 24 HOURS. Tracking is always included. ALL ORDERS SHIP WITHIN 24 HOURS. Tracking is always included. This book is in Very Good Overall Condition - INCLUDES CD. This item purchased from a national charitable organization thanks to your purchases we can continue to support them. Buy with confidence, we have thousands of happy customers. All shipping materials 100% recyclable. REUSE-RECYCLE-REBOOK Buy with confidence over 40,000 happy customers. All shipping materials 100% recyclable. REUSE-RECYCLE-REBOOK . Very Good. Prentice Hall. Used - Good. Good condition. With CD! 4th edition.Slightly dampstained.Highlighting inside.Owner's name on inside. Prentice Hall. PAPERBACK. 0131447505 Ships promptly from Texas. . Fine. 2004. Prentice Hall. PAPERBACK. 0132401355 Ships promptly from Texas. . Fine. 2007. Prentice Hall. PAPERBACK. 0132401355 Item in good condition. Textbooks may not include supplemental items i.e. CDs, access codes etc... . Good. Prentice Hall. PAPERBACK. 0132401355 Good Condition. Has some crinkling. Unused Infotrac included. Five star seller - Buy with confidence! . Good.